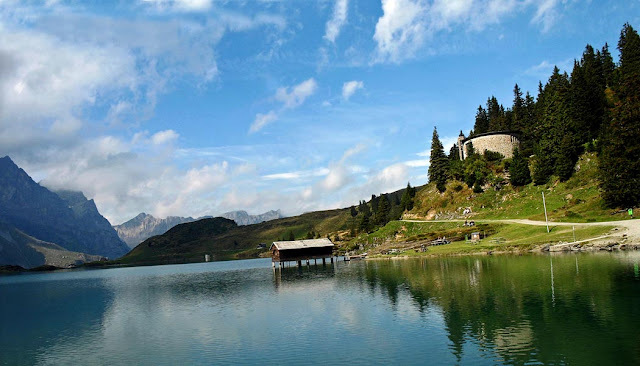 Switzerland is a country of many lakes, some of them which are man-made and the presence of these mountain water bodies adds to the natural beauty of Switzerland. Here are photos of some breathtaking scenery around the lake, and of the mountain lakes. 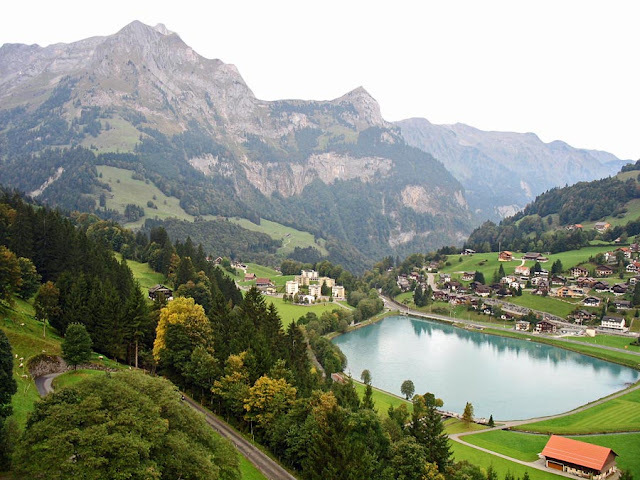 The photographs here are of the smaller lakes around the city of Lucerne, not of Lucerne Lake itself. 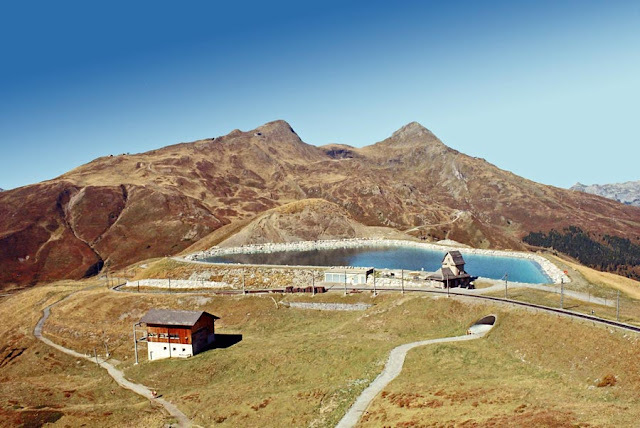 This is Lake Trub which is on the way to the Titlis mountain and can be seen clearly from the cable car. This lake seems to be dug right into the rocky surface of a mountains, on the edge of a sheer cliff. 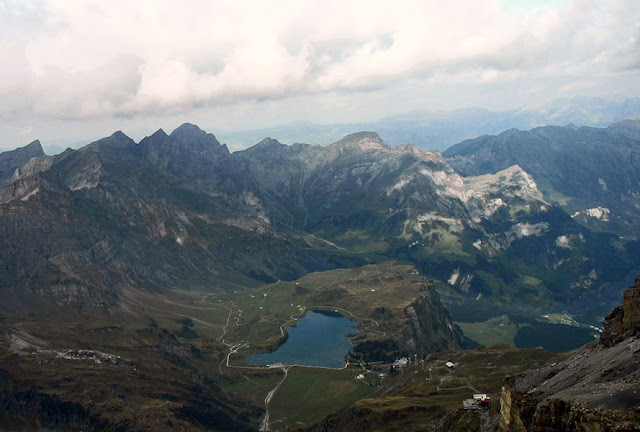 The mountains surrounding the small lake provides for beautiful scenery. When you actually walk down to the lake you realise that it is not tiny at all. You cannot see where it ends as you stand on the edge. To the left are huge mountains, and to the right fir trees. A small boathouse is in the water. 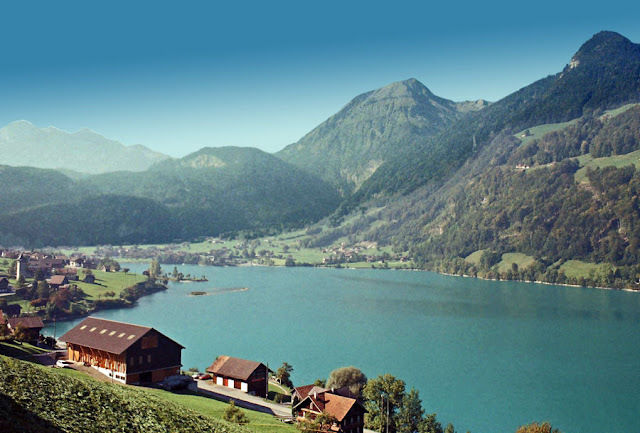 A cluster of houses around this unknown Swiss lake. A small water body or lake in Switzerland. It is amazing how clean, clear and blue the waters are even though humans live just a few feet away. Appears to be man-made. Another small unknown lake in the rocky mountains of Switzerland. High resolution images of all of the above are available if required for calenders or other commercial items.